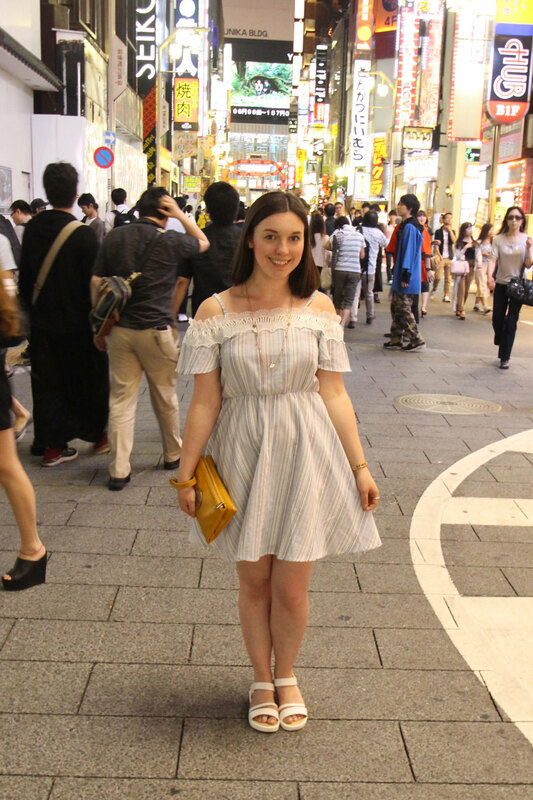 It wasn't until I went to Hong Kong and Tokyo that I realised I have quite a fondness for 'Asian' street style. Falling in love with everything in the shops there... not to mention a serious spending hole left in my pocket! I was literally grams away from being over my luggage allowance on the flight home. 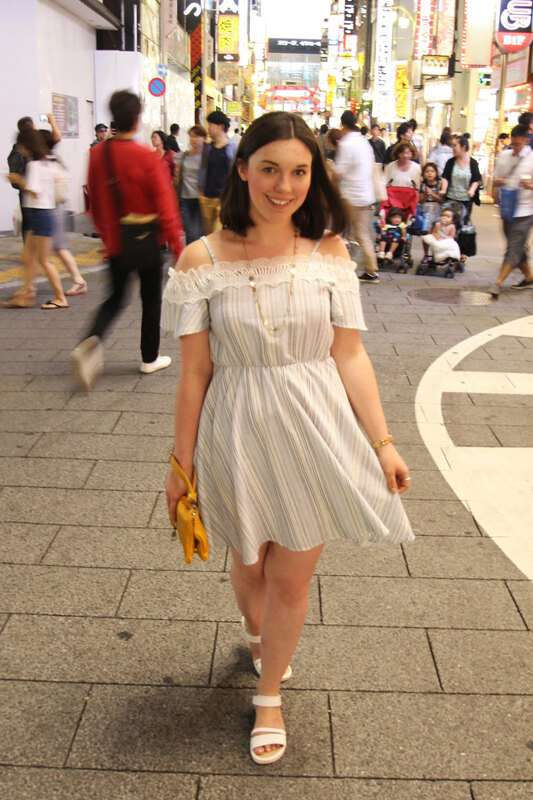 This was a dress I bought in a Hong Kong boutique, totally handmade and one of a kind. 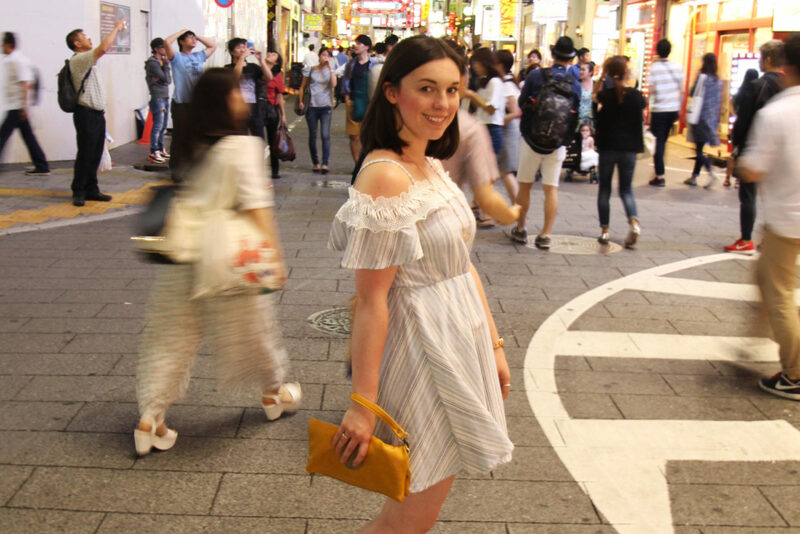 I really love the 'off the shoulder' trends at the moment; the added little straps made all the difference making it the right fit for me. As soon as I saw this dress I knew I had to have it. A combination of delicate lace and vintage inspired stripes and flattering skater style. For a comfortable every day look perfect for exploring, these sandals were a saving grace. Walking 8-10 miles daily, I was in need of some sandals perfect for heavy use. Being as unpractical as I am with shoes, naturally I packed flip flops and wedges. It reached a point where my feet were on the verge of breaking and needed to take drastic action. 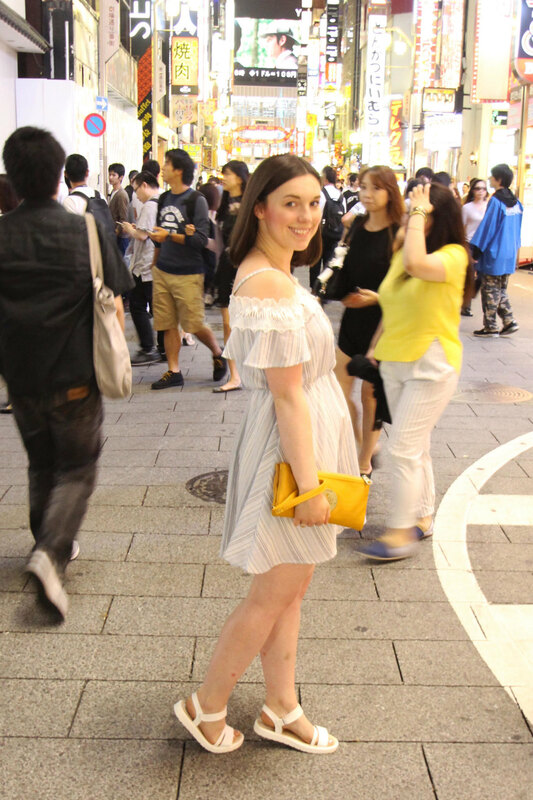 I came across these super comfortable and white sandals that I knew would go with everything, which soon became my 'go to' pair of shoes for the trip! 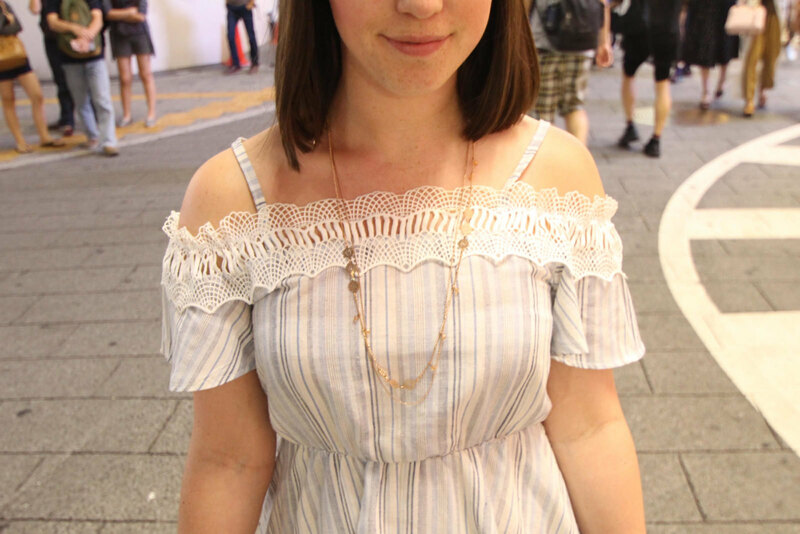 What do you think of the off the shoulder trend, are you a fan?